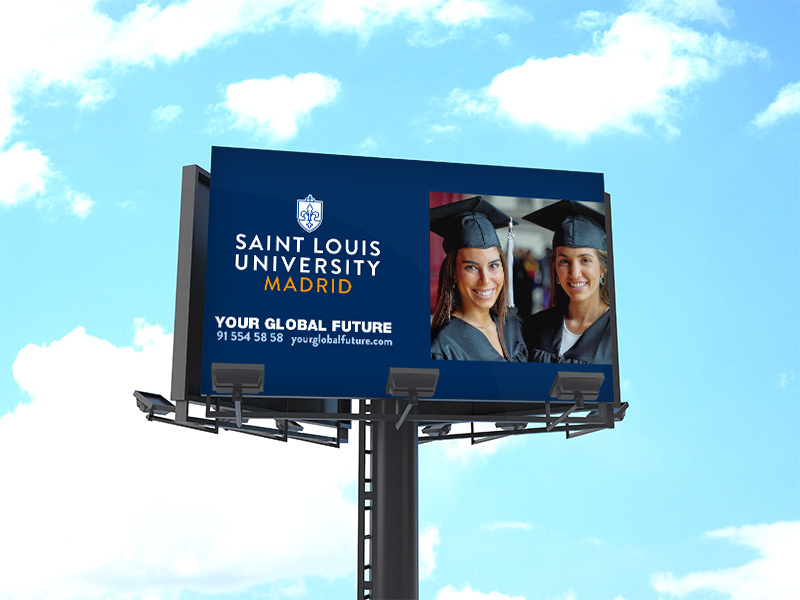 You can see the outdoor advertising designed for Saint Louis University campus in Madrid. 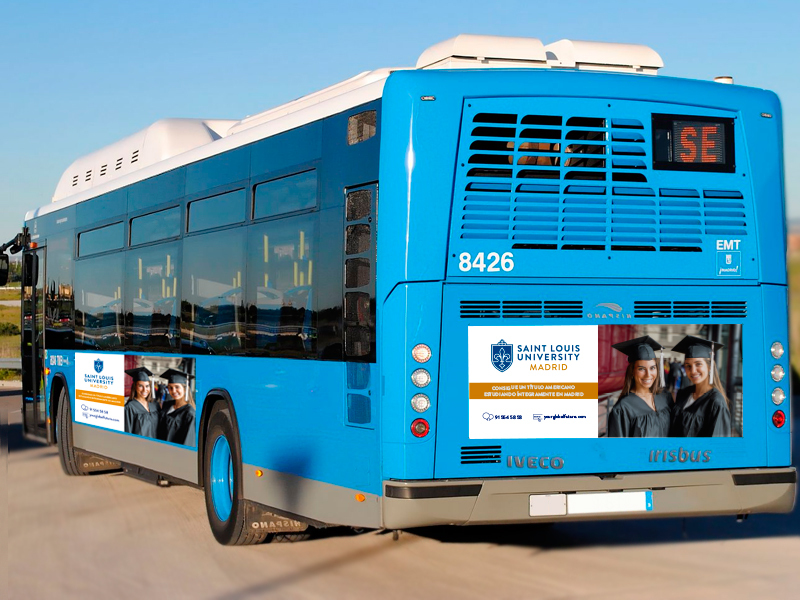 For this year we planned out light advertising displays, advertising fences, billboards, marquee advertising and buses of the EMT and radio spots. 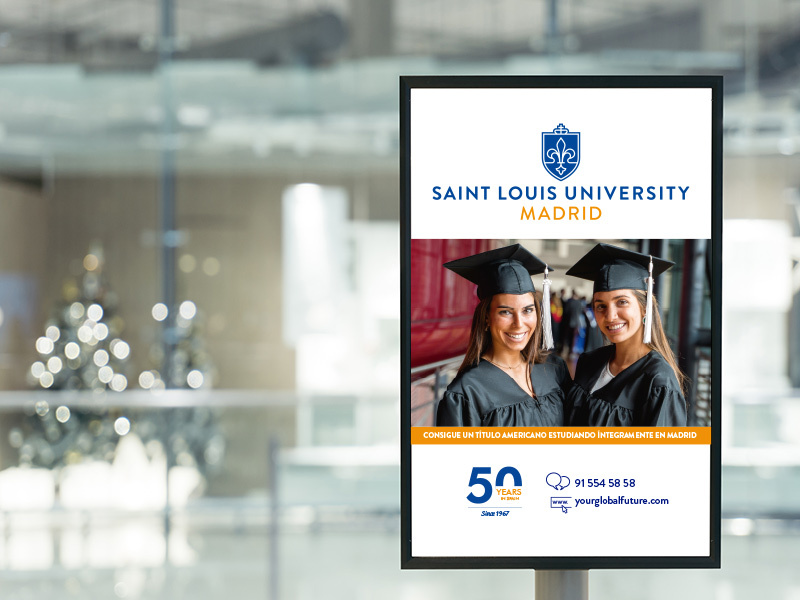 Campaign duration: From june 1st to july 30th. It covered all the northwest area including shopping centers.